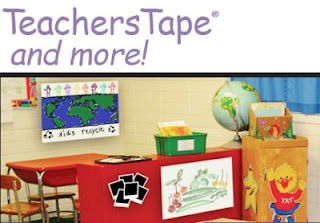 Teachers get a free Sample TeachersTape®. eachersTape is a removable foam tape that comes off cleanly with no adhesive residue or tape scraps. Replaces masking tape, mounting clay, push pins and other more expensive fastening options. This offer will be available while supplies last. Click below to go to their website. Once on their website fill out their mailing information to get a free sample.